Steve came to the church in a very unusual way. He was not raised in a Christian home and never intended to become a pastor after becoming a Christian. 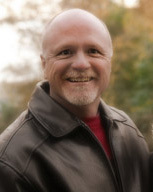 Steve was a high school teacher and football coach in Texas (Steve’s home, God’s dwelling place) and did not enter into vocational ministry until the age of 30. With a great wife (Dana) and two awesome sons (Josh and Clay) they began the journey of Dallas Seminary and working at a church in Texas. Steve moved to California in 1991 and worked at Santa Cruz Bible church for 10 years before joining Westgate Church in the summer of 2001.